Medicare Supplement Plan C, also called Medigap Plan C, is one of 10 types of Medigap insurance policies offered in the United States. Each one of the plans offers a different suite of benefits and features. The Medicare Supplement Plan C is an extensive plan, which makes it a popularoption for people who need comprehensive health care. The benefits that this healthcare plan offers are standard, meaning that they are the same regardless of insurance company. However, premiums may vary for the plan based on the insurance company. What is Medicare Supplemental Plan C? Medicare Supplement Plan C is one of the nation’s standardized supplemental plan options. It is the second-most comprehensive Medigap plan available, second only behind Medigap Plan F. This plan has similar benefits to Medigap Plan F except it does not cover Excess Charges. This gives you full protection for medical aid, and you have limited responsibilities for paying co-pays or deductibles. Furthermore, there is no exclusive network of doctors that you need to choose from to get coverage. What Does Supplemental Plan C Insurance Cover? Medicare medical insurance that helps pay for certain doctors’ services, outpatient hospital care, durable medical equipment, and some medical services that aren’t covered by Part A. As with any type of insurance plan, the benefits provided by Medicare Supplement Plan C have certain criteria. In the context of Medicare Part A Hospital Coinsurance, days 61 through 90 of a hospital stay are covered in each benefit period. Days 91 through 150 of a hospital stay are covered on a one-time basis. After the original Medicare hospital benefits are paid, the insurance holder is entitled to an additional 365 days’ worth of inpatient hospital care. Part B coinsurance is paid after the annual deductible has been met. For “blood benefits,” Medigap Plan C will pay for the first three pints of blood that you receive in a year. Hospice coinsurance pays for inpatient respite care, outpatient care, and prescription drugs. Health care coverage for a skilled nursing facility includes coverage at rehabilitation services and similar health care centers. Along with these benefits, Supplemental Plan C also provides traveler’s health insurance. When Can You Enroll In Medicare Supplement Plan C Insurance? To get Plan C Medicare Supplement coverage, you must be at least 65 years old and have Medicare Part A and B. When you turn 65, the best time to enroll in any Medicare Supplement would be during the Medigap Open Enrollment Period. This period begins the month you turn age 65 and enrolled in Medicare Part B. Is Medicare Supplement Plan C Going Away in 2020? Along with Medicare Supplement Plan F, Medicare beneficiaries will not be able to enroll in Medigap Plan C beginning of January 1, 2020. This new bill is called the Medicare Access and CHIP Reauthorization Act of 2015. These plans will be discontinued due to an attempt to reduce total Medicare spending by the Government. If you are currently a Medicare beneficiary with Part B, you can enroll in Medigap Plan F or C before the year 2020. If you are currently on Plan C or Plan F and want to switch carriers before 2020, considering switching as soon a possible to lock in the current rates. Insurance carriers could possibly increase premiums in the future. Current Medigap policyholders do not have to have to Annual Enrollment to switch Medicare Supplement Plans. You can change plans anytime! What Does Medicare Supplement Insurance Plan C Cost? The cost for Medicare Supplement Insurance Plan C depends on the insurance carrier, age, location, gender, and tobacco use. You may also be responsible for paying additional fees, such as hospital coverage that extends beyond the covered period. Foreign travel is covered under this insurance plan, but it will cost you a deductible of estimating $250. After that, you’ll get 80% travel coverage up to a limit of $50,000. With a generous enrollment period and coverage for nearly all of life’s medical expenses, Medicare Supplement Plan C is one of the most popular types of insurance plans for seniors. 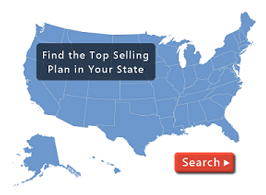 If you want to know more about the plan or get a quote, call Plan Medigap at (800) 750-2407 today.